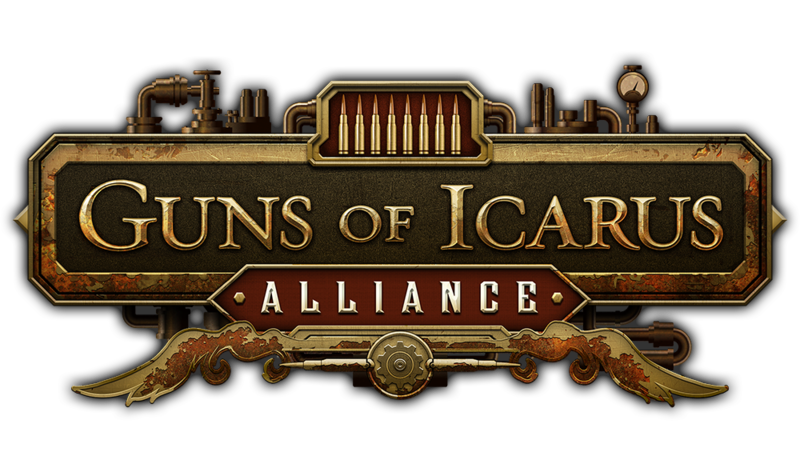 What is Guns of Icarus Alliance? 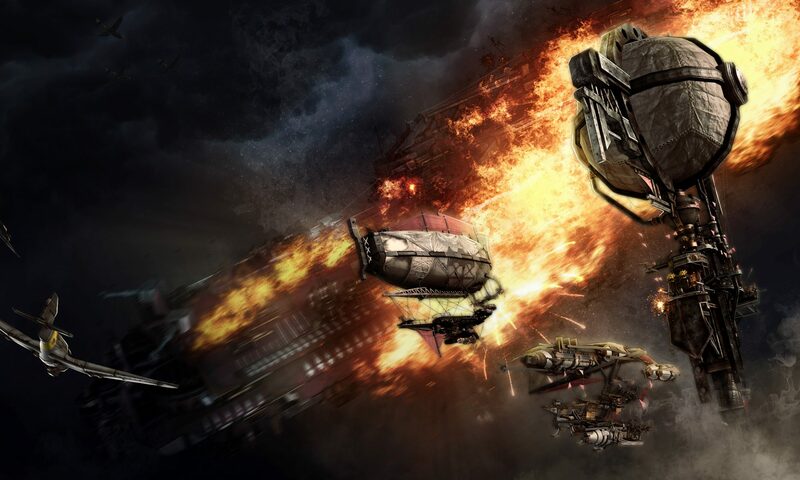 Guns of Icarus Alliance combines both PvE and PvP (Guns of Icarus Online, only available on Steam) components of the Guns of Icarus universe. It is a complete package and is the recommended title to purchase if it is your first time playing Guns of Icarus. I have Guns of Icarus Online, how can I play PvE? To upgrade your copy of Guns of Icarus Online on Steam to include new PvE content, you can purchase an expansive 'DLC' package that includes all of the PvE content that is included in Guns of Icarus Online. This way you preserve all your playtime information and achievements. While PvP and PvE matches occur on the same server, and therefore allowing you to chat with PvE players, you will need to upgrade your game in order to play the PvE content. What is the PS4 Edition? Guns of Icarus Alliance PS4 Edition includes both PvE and PvP components of the game. It fully supports cross-platform play, voice chat, and text chat with Steam players. Unfortunately, you cannot play offline. All game modes across PvE and PvP take place online. If you would like to play alone, it is possible to create a private and passworded match. On Steam, there is not subscription fee. On PS4, you will need to be a PS+ Member in order to play. No. While we do have an in-game store, it is purely for cosmetic items like hats, goggles, costumes, costume and ship dyes and paints, as well as airship related decor and figureheads. It is entirely optional to purchase something from the store and many cosmetic items are granted through regular progression as well. Can I board other ships? No, you cannot board other airships. Since the beginning of development, and despite many requests to do so, we have decided to not have boarding in the game experience. Not only are we a small team, we wanted to focus on mounted-gun combat that involved tactical maneuvering and positioning of airships. Can I monetize videos (YouTube, Twitch, etc...) that feature your game? Can I speak to or interview you guys? Please email us at feedback@musegames.com for issues, suggestions, and questions! If you experience a crash on the Playstation 4 when playing you will be prompted to send a report log. Doing so will allow us to check out what the issues are and investigate them for you ASAP! If your HUD is cut off, please go to system menu and adjust in [Settings] > [Sound and Screen] > [Display Area Settings]. Restart the game after change settings. Can we customize controller keys? 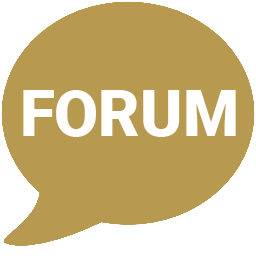 We’re definitely taking feedback and recommendations, and we’ll be considering them for future updates. Currently voice chat can only output to TV. We are working with our game engine and game server providers to add in support for this feature. As soon as we have the support for it, we’ll update everyone asap. This is a function available exclusively to you, our awesome PS4 players! This is a great way to earn a ‘starter kit’ for yourself while rewarding the players you refer with a unique item as well. To access this feature simply go to the ‘Community’ tab, select ‘refer player’ and enter in the player’s name (they will need to be online for this to work). Once you have entered this information confirm the referral to recieve rewards. There are three tiers for PS4 players to progress through. You can choose to refer the same person or multiple people, this referral system works for all players on PC and PS4 alike. What's the quickest way to play? First, you must decide whether to play Co-Op (PvE) or PvP. For first time players, we recommend playing Co-op first as an Engineer or Gunner. If there are enough matches, a matchmaker system will whisk you into the next eligible match. Otherwise, you will be brought to a match list where you can either join a match from the list or create your own. To level up in your faction, you simply play Co-Op matches. To level up in your class, you can play matches as well as complete achievements for those classes. Leveling up in classes and faction will unlock various cosmetics as well as ships and guns. How do I help my faction? Playing Co-Op matches will help your faction progress. However, you can also get in touch with your faction leaders for more fine grained strategies. Pay attention to your faction's message of the day in chat to see if they congregate outside of the game. Playing PvP matches will not directly progress your faction, but will reward you with coins that you can use to purchase items and use them on the World Map. To join a clan you must be invited or accepted in game by a clan leader or officer. You can request to join by going to the clan’s page in the community menu in-game. It will leave a notification for one of the officers or leader that they have a pending clan request. What do colored names in chat mean? Teal are for developers. Yellow are for Community Ambassadors CAs. Blue names are for CAs with moderation abilities. Red are for bounties that you can defeat in a bounty mini-game in PvP. CAs are volunteers that help the community by answering questions and moderate. What should I do about trolls, bullies, and other disruptive players? Can I kick a player from a match or ship? Only moderators have the ability to kick. After much consideration, we realized that a public kick or vote-to-kick functionality would likely be abused. If there is a problematic player, you can Block, Relocate, and Report the issue directly to us. If you are running Windows 7, ensure that Windows is completely up-to-date and there are no updates waiting to be installed. Fully update Windows, then try again. Please check to see if you have MSI Afterburner or any other graphics card over-clocking or “boosting” software. If you do, try disabling or uninstalling it and try running the game. Try temporarily disabling your antivirus or other security software and see if that allows the game to run. Try reinstalling your Steam client. Also delete everything from your Steam install directory except for steamapps and userdata folders. Simply reboot steam and try launching the game again. Invalid Ticket errors are when there are issues connecting with Steam authentication servers. The game starts by the gears are spinning forever. Check your Steam connection and make sure your status is set to “Online.” Frequently the cause of loading screen problems is the Steam authentication server going down. Make sure the build has downloaded properly. Right-click on the game in your game library, select Properties, go to the Local Files tab, and click Verify Integrity of Game Cache. Try opting out of Steam beta, especially if you are using a Mac, as the Steam beta Mac client can be unstable. Make sure firewall is not installed, disabled, or turned off. Make sure port open from 5055 to 5100 for outgoing traffic. Make sure that you do not have any 3rd party VPN or networking software, such as Hamachi or Tunngle, installed or enabled, as these are known to route traffic improperly or poorly. If you are using the Killer e2200 PCI-E Gigabit Ethernet Controller (NDIS 6.20), you may need to change its settings. After opening the game, from the “Applications” tab of the Killer Network Manager, click on the Guns of Icarus Online process. Switch the priority from 1 to either 2, 3, or 4. Make sure that your internet connection is working properly and you are able to access other online services or sites without a problem. Make sure that your firewall or other security software is not blocking outgoing UDP traffic to remote ports between 5055 and 5100. If you are using a Linksys WRTS router, try upgrading your firmware; this will frequently solve connection issues with this router. Make sure you do not have a controller plugged in or disable joystick controls in the Options menu. Can you help me troubleshoot more (how to send us your logs)? Save this file to the desktop and name it dxdiag. In the MSInfo diagnostic window, click File, then Export. Save this file to the desktop and name it msinfo. On a Mac, open the Console app in your Utilities folder. Find Unity on the side panel (it’ll be under ~/Library/Logs if it’s not expanded), and the file we need is player.log. The log file is cleared automatically each time the game application is started, so if you have something to send for a particular bug, you’ll need to grab the file before you open the game again. When sending your log, please attach the file (do not paste the text in the body of the email). Reference our guides which help you create an item according to our specifications. Test your item using the Workshop Tool by selecting the “Launch Workshop Tool” option when launching the game. Publish the item to the Steam Workshop. Our team or airship manufacturing specialists will review your submission and select our favorites to be added to the game. If selected, we contact you and integrate your item into the game. The item is officially part of our game! You have the choice of giving the item away or participating in revenue share. For PS4, you have the option of offering your item for free or not having it on PS4 at all. You can still earn money from Steam regardless of what you choose for PS4. How do I improve the chances of getting my item approved? Visual Quality—We look for clean designs that read well from a distance. Item Requirements Met—Make sure you have all the required components of the item you are creating. Texture sizes, file formats, and poly limits are all outlined in our instructions. Matches Ingame Aesthetics—Something that looks like it belongs aboard a Guns of Icarus airship. Originality—No copywritten or trademarked material. Why wasn't my item accepted? “Noisy” Texture Details: Hyper detailed areas never look good at a distance. If you’re detailing individual screws on your goggles, you’re probably getting too specific. Tone: We may reject an item if it’s too unrelated to our world. Copyright Infringement: If we don’t own the intellectual property, we don’t want it in our game. Even if you’ve created the model yourself, but used an existing likeness, it’s copyright infringement. Obscenity: We won’t consider offensive images. Time: We can only integrate so many items at the same time. Even if your item wasn’t chosen this round, it may be integrated in one of the following updates. I'm new to modelling, can you recommend tutorials?